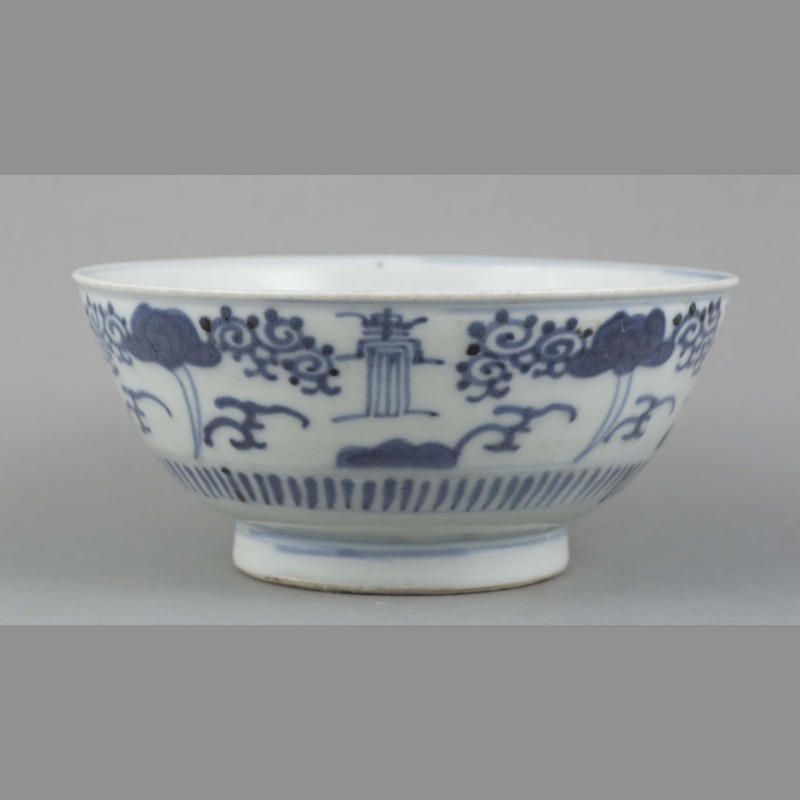 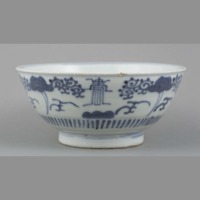 One circular glazed blue and white ceramic bowl with a shallow base. 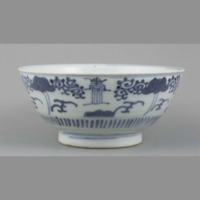 Bowl exterior presents repeating pattern of serpentine and geometric designs. 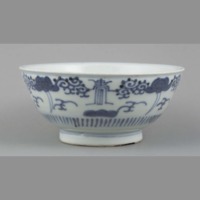 Bowl interior presents simple motif in the centre of the base. 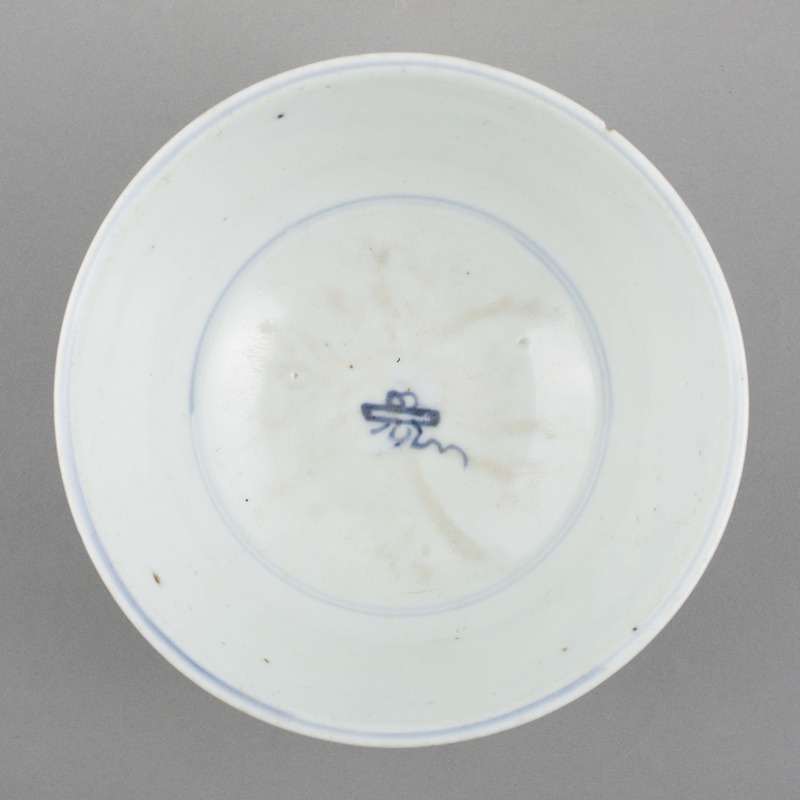 Underside of bowl presents an inscription that reads 東吳 or Dong wu which refers to the current area of Suzhou. 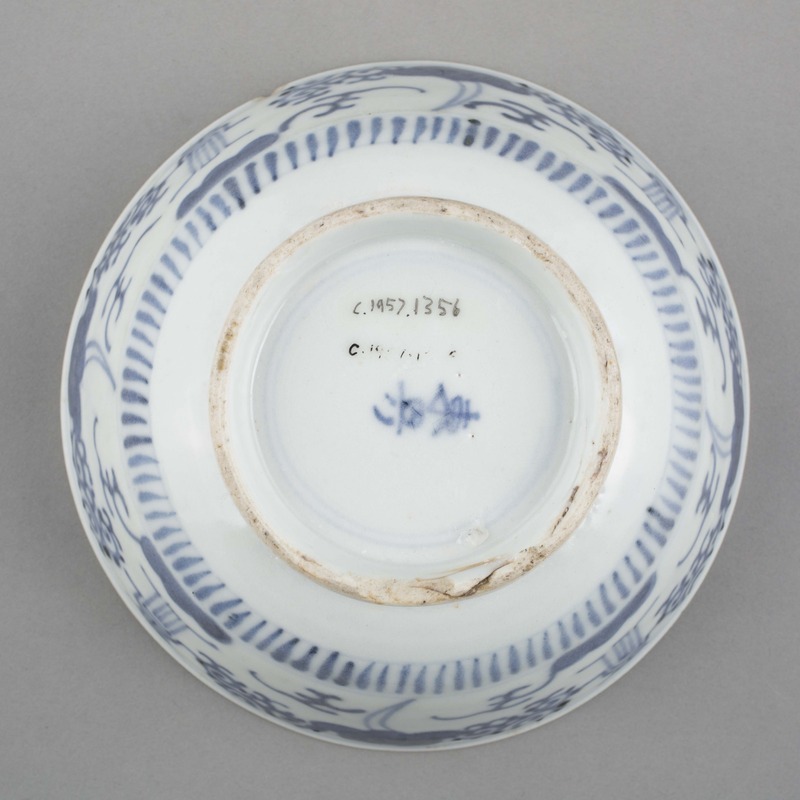 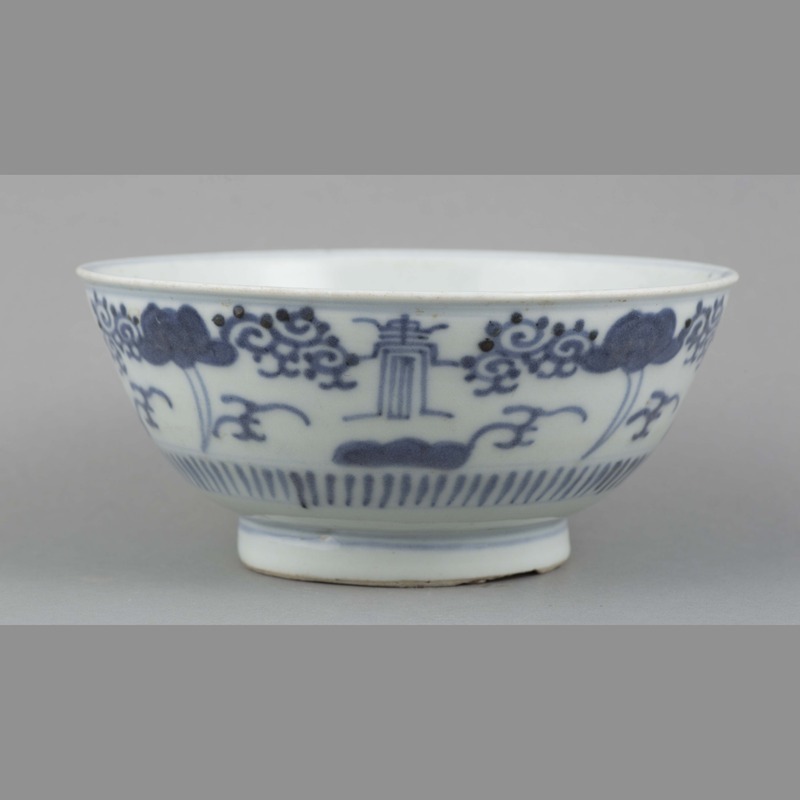 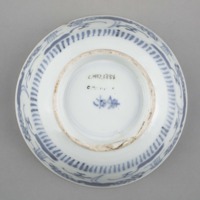 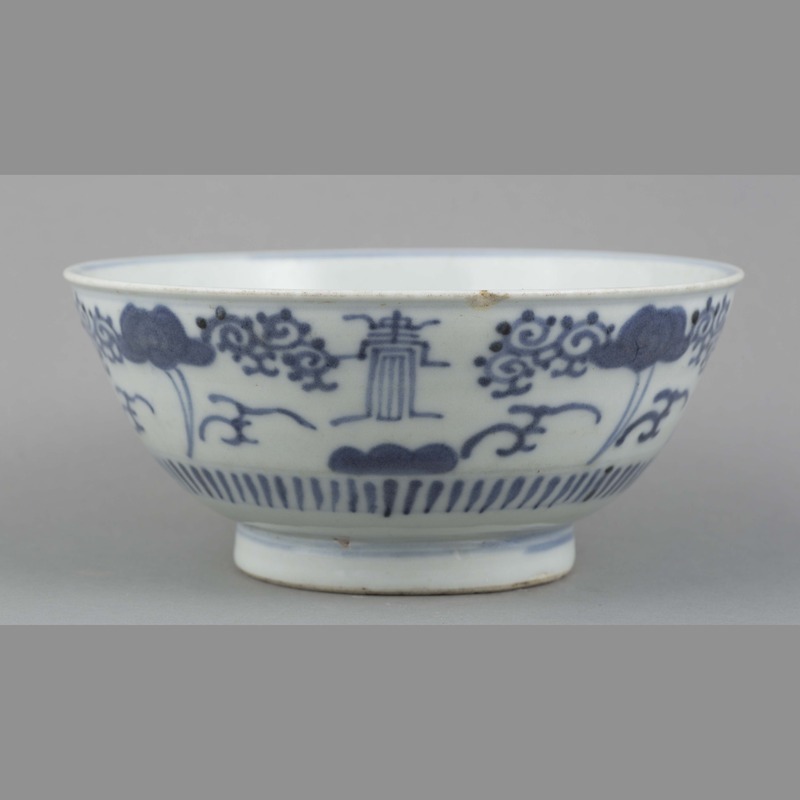 “Ceramic: bowl,” China, Art and Cultural Diplomacy, accessed April 22, 2019, http://rewialleyart.nz/items/show/1095.